Hiking in the Bavarian Alps or clubbing in Berlin? Whichever German LUX-camps holidaymakers choose, they'll have a thrill a minute in one of Europe's most exciting countries. Tempted? 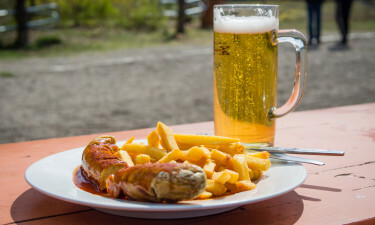 Visit the LUX-camp website and find the German holiday destination just right for you! Why should you rent a luxury mobile home in Germany? 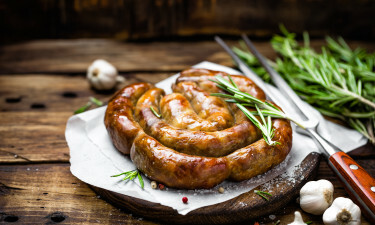 Whether campers choose to explore Germany's North and Baltic Sea islands Sylt, Amrum, Fehmarn or Rügen for beach life, water sports and unrivalled fish dinners, or head further south to sample the culinary delights of Schupfnudeln in Stuttgart, Weißwurst in historic Bamberg, Munich or Nürnberg, Germany's luxury camping sites offer tourists a great opportunity to rediscover one of Europe's regionally most diverse countries. Explore Berlin's trendy nightclubs, take a river cruise down the Rhine to see vineyards and medieval castles - or climb the Alps! It's all there for the taking. Facilities at holiday camp sites are excellent, including children's playgrounds, free Wi-Fi and supermarkets.ies in their mobile home rental package if they wish. The campsite has its own restaurant. 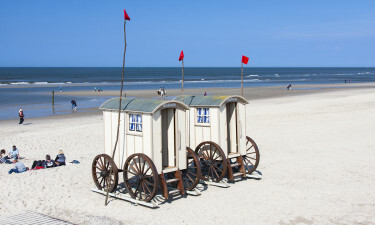 Northern Germany Schleswig-Holstein's picturesque Baltic Sea coast resorts Grömitz, Haffkrug, Scharbeutz, Niendorf and Timmendorfer-Strand, the islands Rügen and Fehmarn and North Sea islands Amrum and Sylt are ideal for campers looking for relaxation by the sea. Enjoy water sports like sailing, fishing, surfing and sea kayaking. With a landscape as flat as a pancake, exploring by bike is both pleasurable and easy for all abilities and ages.Baden-Württemberg and Bavaria Follow the wine route or explore a multitude of castles and palaces in Germany's smallest Federal State, Baden-Württemberg. 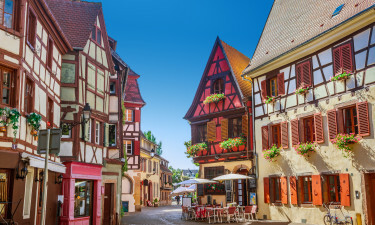 Its capital Stuttgart boasts great shopping and dining, a fabulous zoo (Wilhelmina) and in Bavaria's capital Munich tourists can enjoy a historic walking tour that takes the English Garden, the former royal residences and some of Europe's loveliest churches. 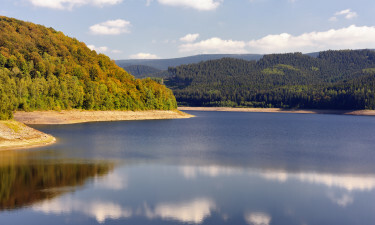 Lower Saxony About an hour's train ride from Berlin, Lower Saxony offers luxury camping holidays near forests, lakes and rivers, but also in close proximity to historic cities like Dresden and Leipzig with their great art collections and stunning architecture. Love hiking? Lower Saxony's pine forests will appeal to you! Germany's North Sea and Baltic Sea coastlines are very different. While the North Sea's Wattenmeer coast is ideal for cycling, walking and bird-watching holidays, the elegant seaside resorts of Timmendorfer-Strand, just an hour's drive from Hamburg, and Travemünde are great for sunbathing, surfing and sailing, dining out and shopping. A little to the east lie the lovely towns of Ratzeburg, Wismar and Rostock, great places for admiring medieval architecture.The Harz Mountains offer fantastic hiking trails and fairytale towns with UNESCO World Heritage Site status. From mountain hikes in the Alps to nature reserves on the islands of Fehmarn or Rügen where large flocks of migratory birds gather in spring and autumn, Germany is a great place for enjoying the outdoors and an unforgettable luxury camping holiday. Go sailing in Travemünde, watch an open-air theatre performance at Eutin Castle or enjoy a concert in Hamburg's Stadtpark, visit Berlin's Museumsinsel for world-class art collections or try keeping up with the professional hiking guides in Baden-Württemberg's gorgeous Hohenlohe region.Or be amazed by the architecture of UNESCO World Heritage Sites like Lübeck, Bamberg or Goslar, each boasting around 1,000 ancient houses, churches and municipal buildings. Like to go clubbing? Berlin is just the place for you! It boasts more theatres, pubs, clubs and restaurants than any other city in Germany. Germany's involvement in two world wars prevented international tourism for a long time. 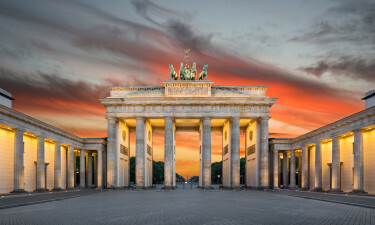 Now one of Europe's most modern and forward-looking democracies, Germany offers a wealth of cultural and historical attractions for tourists choosing to rent a mobile home and camping luxury in LUX-camps near historic villages and towns.